Specially formulated edible ink designed for printing onto anycake icing sheets. 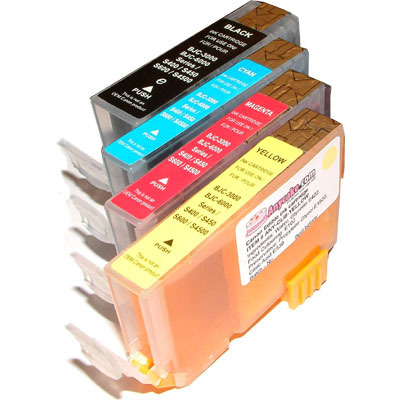 CLI-8 cartridges are available in four colours, cyan (blue), magenta (red), yellow and PGI-5 black. Please check compatibility before making your purchase. I just had to write to tell you how delighted I am with my edible image which arrived this morning. What service and such a lovely job. I have already told a number of my friends about your service and I will definitely be using you again.